Life can get stressful and out of control at times, but you may be one of those people who can handle whatever life has to throw your way. You may feel like you are running around constantly trying to get everything in, but you still manage to get it all done. When you are living life in this hectic state, it is easy to not give 100 percent when accomplishing different things like cooking dinner every night, working out daily, or cleaning your house. While we will give you a little slack for ditching a workout or not pushing yourself as hard as you could from time to time, there are certain instances when cleaning should not be done with little effort. 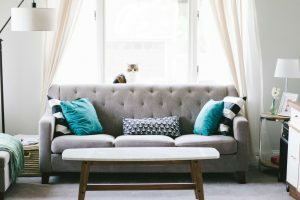 A clean home is a happy home and while you may get used to some of the grime and dirt, others will notice unclean windows, hairballs in the corner, and dust lining the shelves. Luckily, when you need a full and quality clean, you can trust our team at Clean Bees Homekeepers. We offer one-time cleaning services that can take your version of a clean home and transform it into a sparkly and flawless space. Why would you need a one-time cleaning, you may ask? Well, there are a few instances when our one-time cleanings are well-worth it! In this blog, we are going to talk about some of the times when one-time cleanings can help you out a ton! While many in-laws are good at planning in advance and giving you a few months notice, others may let you know they are in the area and will be stopping in the next few days. While this seems like something that you can quickly pick up for and not expect a full-on home inspection, some mothers-in-law are a bit on the neat-freak side. This means that you need to ensure your home is flawless. Rather than hearing your in-laws complain about the state of your home or a collection of dust bunnies that aren’t even visible to the naked eye, let Clean Bees Homekeepers help you out! We can make sure that your home is cleaned from ceiling to floor, helping you prepare for the lovely in-laws. They will not be able to complain about the cleanliness of your home after we get our hands on it, although they may find something else to complain about, which we cannot help you with. Even if you have awesome in-laws that are not worried about the state of your home and do not judge you based on the cleanliness of your oven, it is nice to clean up in preparation for them! Your guests will notice when you put extra effort into tidying up before their visit and will appreciate it greatly. 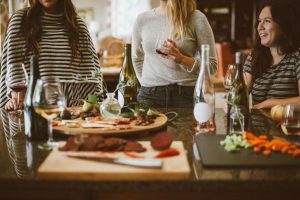 Whether you are throwing a graduation, anniversary, birthday, baby shower, gender reveal, Fourth of July, Christmas, or any other type of party, you will want to prepare and get your home clean beforehand. However, after your party, your home is likely to be a mess. Clean Bees Homekeepers can help clean your home before or after the party. If you want to give your home a nice solid clean before the guests arrive, we can ensure we get that taken care of. Our cleaners will leave your home neat and tidy, just waiting to be messed up by your friends. But this also means that when they all leave, you will have a good starting point. Your home will already be semi-clean so all you have to do is pick up and touch up. Or you can go with the other option and have us help you out after the party! Planning a party is a big job and leaves you exhausted and ready to crash after the last guest leaves. But then you have to think about it this way: do you want to have to wake up tomorrow and start cleaning or do you want to stay up late tonight and clean? Why not give us a call and have us clean your home for you? This allows you to relax after your night of hosting while also providing you with a clean home! Or you can pick both! Get your home cleaned before the party so that it is ready for all of your guests and stopless leading up to the party. Then have us come back to clean your home after the party! We will leave your home flawless and allow you to focus on the party and relax once the day passes. We think this is the best option. If the time has come for you to sell your home, it is time for you to clean, organize, and stage your home to look like a model home. This helps it sell faster and allows potential buyers to picture their own lives in this home. Worrying about packing, finding a new home, getting everything ready for the move, and cleaning your home before showings is a lot to have on your plate. With our one-time cleaning services in Fort Collins, we can help you get ready for selling your home or for important showings. Maybe you just want to get your home super clean before you start the selling process, allowing you to quickly tidy up before potential buyers come to tour your home. We can help with that. Or maybe you want to give it a deep clean before you have an open house. We can help with that as well! Our team of cleaners can ensure your home is clean and tidy, helping you sell your home faster. Sometimes, you just need a break. It is as simple as that. If you have had a really busy week and you want to spend your weekend with your family, in the mountains, or on the reservoir, we can help. Clean should not be your weekly weekend plans, you should not have to schedule the fun around sweeping and dusting! If you simply need a break from your regular schedule, start by letting someone else clean your home. Take the break you deserve and leave the house cleaning to the experts! You will be glad you did. At Clean Bees Homekeepers, we can transform your dirty home into a space that is neat, tidy, and ready for anything. If you need a deep clean for an event, a very special guest, or just to give yourself a break, be sure to contact us today! We will give your home the clean it needs. Request an estimate today to get started!